The U.K. Gives Billions Of Pounds To The Developing World. 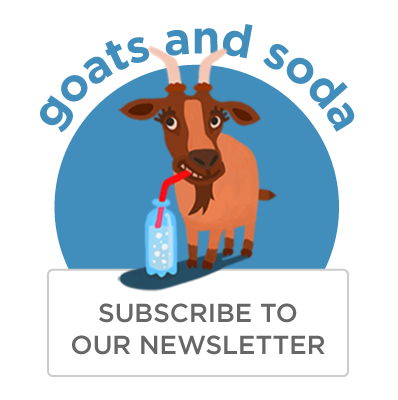 What Will The Impact Of Brexit Be : Goats and Soda The U.K. gives billions of pounds to the developing world. Will this continue in the wake of Brexit? Will Brexit Put A Damper On The U.K.'s Global Giving? Boxes of aid items are stored at a disaster response center at Cotswold Airport in the United Kingdom. Did you know the United Kingdom is a world leader when it comes to aid for global health and development? The amount given in 2015 was the equivalent of $18.7 billion in U.S. dollars. That's second only to the $31.08 billion from the United States. 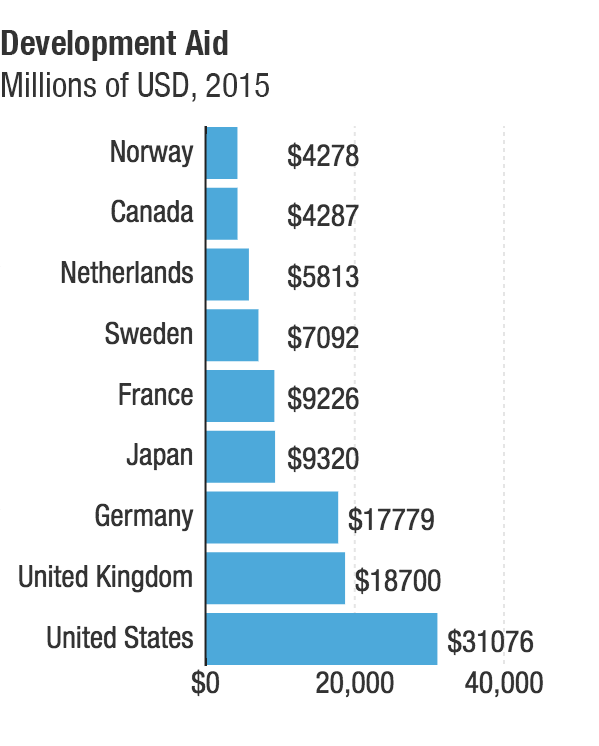 The U.K.'s total is impressive given the comparative size of the two countries' economies. 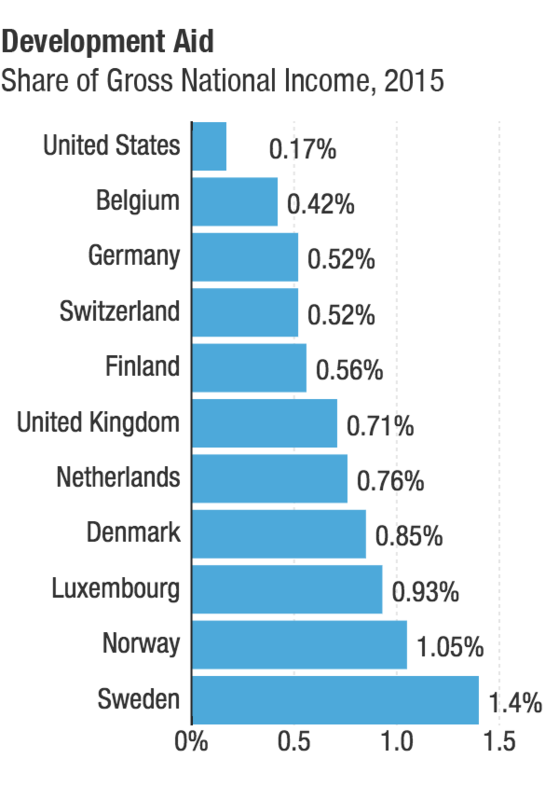 And the U.K. is one of the few countries that have met the 0.7 percent figure. Back in 1970, the U.N. set a goal for donor countries to aspire to: give 0.7 percent of gross national income for development aid. The U.S., by contrast, is at 0.17 percent. And now comes Brexit — the June 23 vote to leave the European Union, motivated partly by isolationist and anti-immigrant sentiment. Will Brexit bring about big changes? 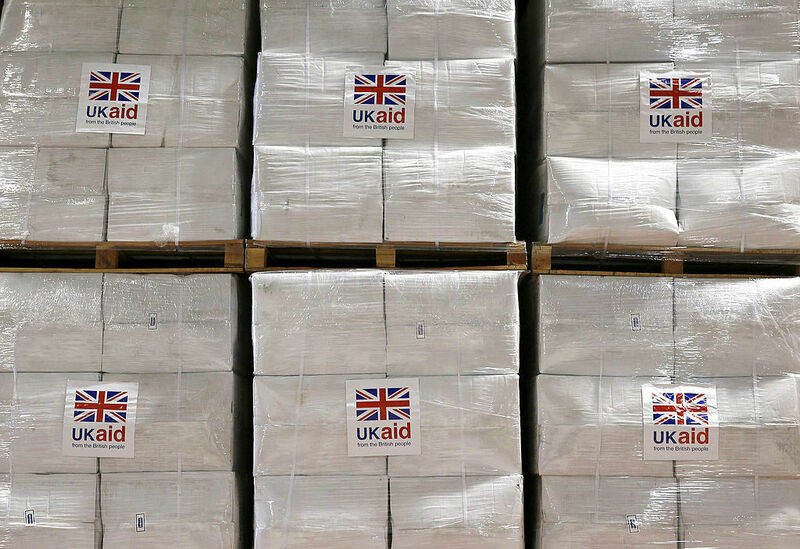 Before we get to speculation about what might happen, it's interesting to consider why the U.K. is a strong player in the field of development aid. Some global thinkers say it's a way of staying connected to former colonies or of influencing politics. But maybe it's more than that. "I think the U.K. has always seen itself as very outward-facing and international in outlook," says Owen Barder, vice president of the Center for Global Development Europe, "partly because it's a maritime island nation." He concedes that many citizens don't pay much heed to the U.K.'s commitment to aid, but "many are very proud of Britain's international development program, which is widely regarded as a successful and effective way of projecting Britain's influence and values." Kevin Watkins, executive director of the Overseas Development Institute, adds that the U.K. commitment strengthened because of its leaders in the 2000s: "Tony Blair and Gordon Brown had international development in their DNA. Their vision of Britain was a country out there in the front row in tackling issues like HIV/AIDS." But even in the few short weeks since the vote to leave the European Union, there's already been a dip in the British contribution. The pound has lost value, dropping by roughly 10 percent against the U.S. dollar. So a pledge made by the U.K. a month ago is now reduced by a tenth. "And that's not trivial," says Manoj Mohanan, an assistant professor of public policy and global health at Duke University. He points out that the U.K. allocates around 11 billion pounds, about 14.6 billion U.S. dollars, to DFID — its Department for International Development — for efforts to end extreme poverty. The money pays for goods and services for refugee aid, humanitarian aid after a disaster, food supplies and much more. Now that same amount buys a billion pounds less. "That's a huge hit," Mohanan says. "Think of the amount of stuff you could do with that money in global health. It's pretty stunning." There's concern about the chilling effect Brexit could have on potential business investors in the developing world. The United Kingdom has a tariff-free arrangement with some low- and middle-income countries, including former colonies like Nigeria, explains Owen Barder. For these nations, the preferential trade agreements make the U.K. a valuable market for anything from cut flowers to beans. Now there's uncertainty about the future of these trade agreements. Even before any changes might occur, the very prospect of a country losing access to the British market "could lead to less investment in those [developing] countries," he says. The U.K.'s pending departure from the European Union — and the withdrawal of its contributions — will make a major dent in EU spending on global health, says Mohanan. Of course, the U.K. could maintain its level of global health spending on its own. Indeed, some of its commitments to global organizations are mandated by U.K. legislation. But with an uncertain economy, "a future government might choose to reverse the legal commitment and not spend that amount of money in aid," says Barder. "If you have a significant shift in the House of Commons toward the anti-aid lobby, you could see new legislation introduced that would seek to overturn that 0.7 percent commitment," says Kevin Watkins. "That would be a consequence that would have very adverse impact on global health financing." "A lot of the anxiety right now is we just don't know," says Jacqueline Muna Musiitwa. A lawyer and managing partner at the business-focused Hoja Law Group, she's based in Kenya. "If it comes to a point where people feel their taxes are being increased [to provide aid to] others across the world, I think there might be a negative effect on policy." The Brexit vote could have an impact beyond aid as well. The idea of seceding from the EU could be an inspiration to countries in Africa, says Musiitwa. There are a number of regional blocs in Africa, like the East African Community and the Economic Community of Central African States. "The precedent that Brexit has set is not good, especially if powerful countries view [secession] as an option," she says. "The reason regional blocs work is there are a few strong countries that help hold up the rest." An exit by key players, she fears, would wipe out the benefits for smaller countries when it comes to negotiating trade terms, for example, or collaborating on health issues. The secession precedent also worries those who look at countries like Nigeria, where the region of Biafra has been making noises about seceding. The hope is that Brexit will not inspire regions to "threaten to secede," says Musiitwa — and turn to violence if the government says no to secession. Of course, Brexit could swing things in a positive way. The U.K. will have "more freedom to provide more aid directly to countries it chooses," says Dapo Oyewole, director of the Policy Development Network and an Aspen fellow, instead of following the EU priorities. Although he cautions that if the U.K. acts on its own, development aid could "become a tool of foreign policy" – a less likely concern with the EU because it represents a number of countries. Oyewole, who is from Nigeria and has lived in both his homeland and the U.K. over the past 20 years, sees a potential silver lining on the labor scene: Perhaps the fact that residents of EU nations will no longer have easy access to jobs in the U.K. will open up more jobs for residents of countries in the Commonwealth of Nations, whose members include developing nations that were once British colonies and are English-speaking. But he sees a potentially unsettling scenario as well: "If you look at the level of hate crimes in the U.K. since Brexit, there's been quite a lot. People from developing regions, particularly people of a particular race, don't know if they may be harassed or intimidated. Like everybody is saying, no one knows what's going to happen." In his view, "more fingers are pointing in a negative direction than a positive direction." Even the remittances sent home by immigrants are worth less: "The pound was so strong that sending money to any country will make quite an impact. With the value of the pound reducing, it makes it more difficult for immigrants in the U.K. to send the same amount of money they were sending all along." And yet Brexit reflects the vote of the people, points out Musiitwa: "We may not like the results, but the people have made this choice." And therein lies a lesson for the developing world, she says: "Maybe someday we will get to a point where it's OK if we disagree, and we may not like the outcome of a vote, but we have strong enough institutions to follow through and execute what the people want."